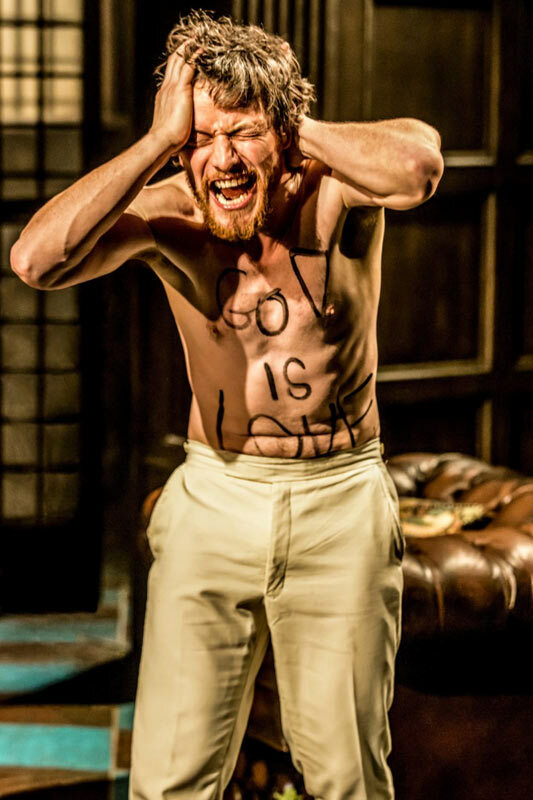 Jamie Lloyd’s trimmed version of Richard III is a bold, bloody re-interpretation of the Bard’s classic tale. 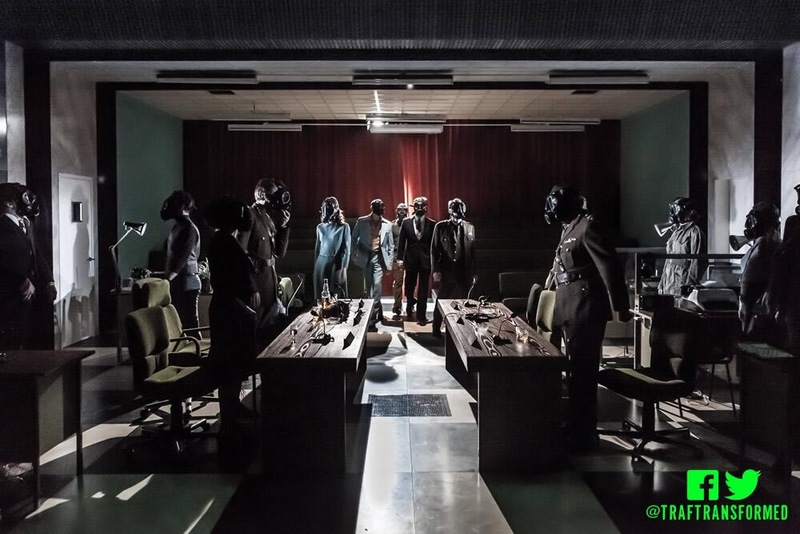 Transplanting the action to the 1970’s and Britain’s own “winter of discontent” isn’t as far-fetched as it may seem and is more than a clever joke: with its climate of strikes, political plotting and military coups it adds an air of relatability to the narrative. Soutra Gilmour’s maze-like set, comprising two long opposing desks and all the paraphernalia of a busy government office: fax machines, clunky telephones and typewriters, does much to heighten the claustrophobic atmosphere of the production and limits both the playing area and movement of the polyester-clad actors. The surprising and menacing tricks in both the staging and the sound design from Ben and Max Ringham are particularly effective additions to the production too. 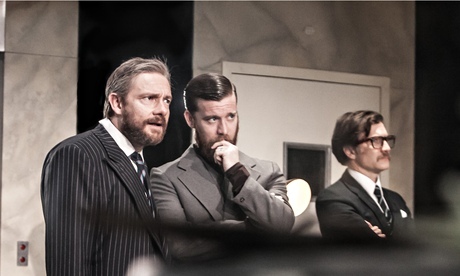 Martin Freeman ably heads up an accomplished cast. 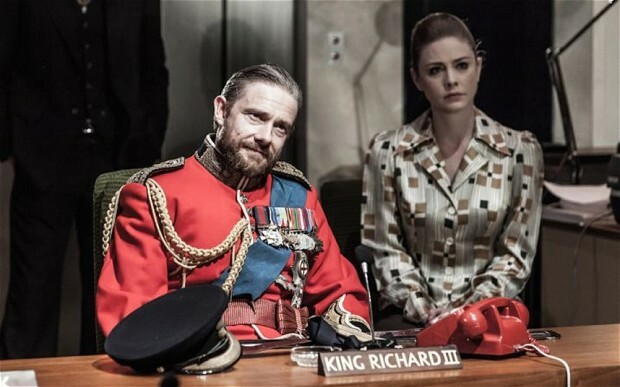 His dapper, controlled and contained Richard is utterly watchable: enemies are dispatched with cold efficiency, lines are delivered with machine-gun speed and a sharp-edged wit, however, if any criticism is to be made of his performance then it must be said that it lacks a little of the menace and magnetism that the role requires. Richard is a seducer of both those he needs in order to fulfil his ambitions and of the audience and Freeman is just a tad too reserved to achieve that. 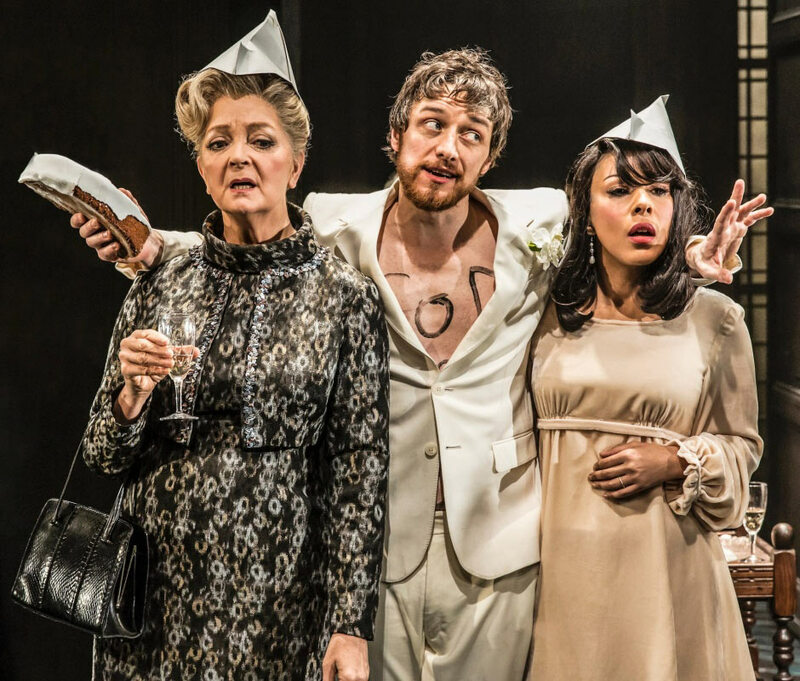 Freeman is more than ably supported by the rest of the excellent cast, in particular Jo Stone-Fewings as the Duke of Buckingham and the always watchable Gina McKee who delivers a nicely pitched performance as Queen Elizabeth. 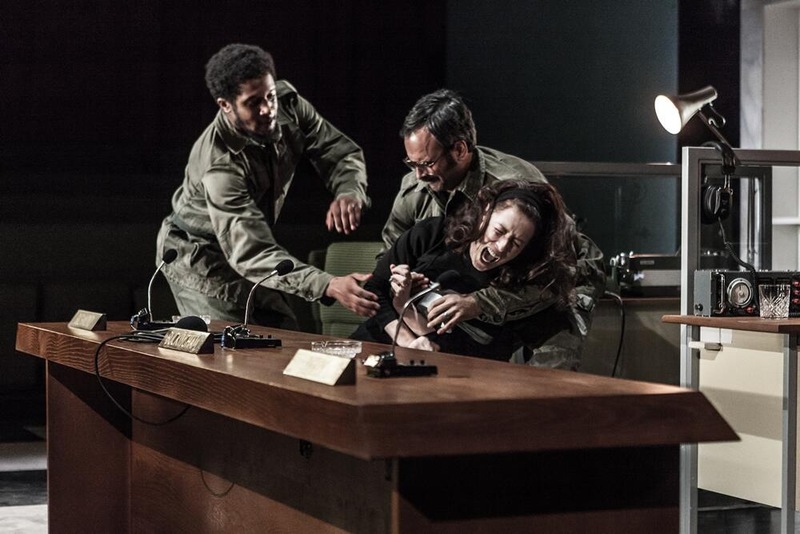 In this staging the violence is particularly violent: one enemy is drowned in a fish tank, another dispatched, strangled by a telephone cord and the blood spills freely around both the stage and the audience. For all the gore there is much humour in the production and credit must go to Jamie Lloyd and indeed, Martin Freeman for managing to make the famous, “A horse! A horse!” speech fit in this setting.